Do not culture over passage 25. 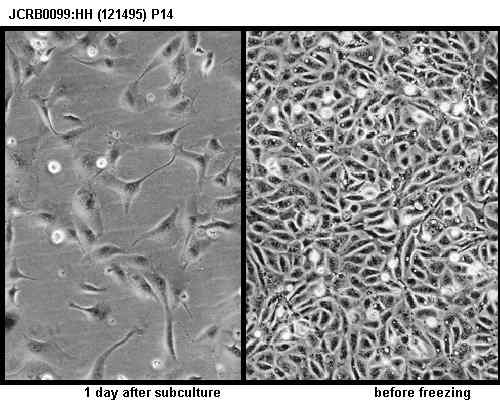 Cells are treated with 0.02 % EDTA and 0.05 % trypsin. 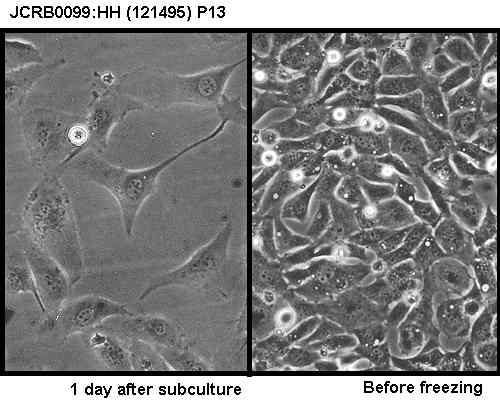 Sitosterol-stimulative production of plasminogen activator in cultured endothelial cells from bovine carotid artery. Eagle's minimum essential medium with 10% fetal bovine serum. Cells were harvested after treatment with 0.05% trypsin and 0.02% EDTA.Split ratio=1/4. Confirmed as bovine by NP, G6PD, MD. 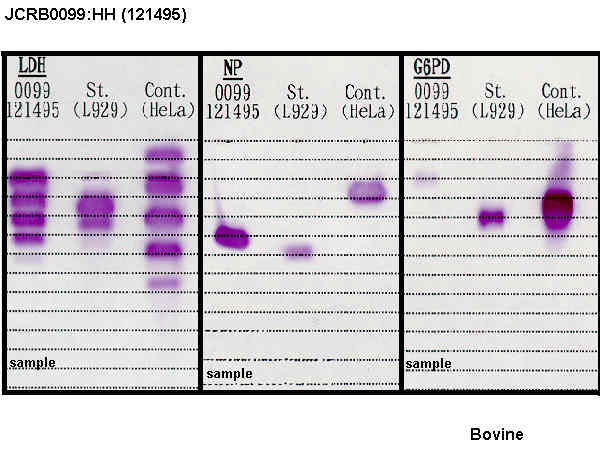 Wash cells with PBS(-) and treated with 0.25% trypsin and 0.02% EDTA for 5 min. at 37 C.
Treat twice with 0.25% trypsin-0.02% EDTA. 7% CO2 is recommended. Collagen or gelatin coated dish. G6PD,NP,LDH were examined. Bovine confirmed.